The three-times World Chess Solving Champion distils the most useful middlegame concepts and knowledge into 100 lessons that everyone can understand. 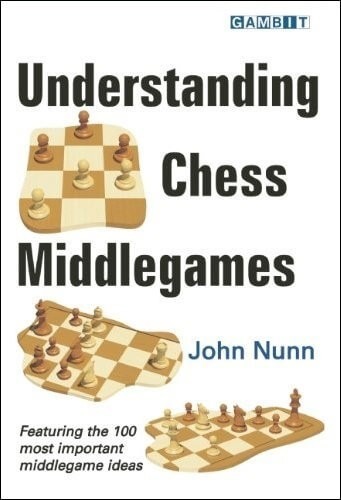 Following on from his successful Understanding Chess Endgames, John Nunn turns his attention to the middlegame - the phase of the chess battle where most games are decided, yet the one that has received the least systematic treatment from chess writers. With the outstanding clarity for which he is famous, Nunn breaks down complex problems into bite-sized pieces. In the case of attacking play, we are shown how to decide where to attack, and the specific methods that can be used to pursue the enemy king. Positional play is described in terms of the major structural issues, and how the pieces work around and with the pawns. Nunn explains how to assess when certain pieces are better than others, and how we can make use of this understanding at the board. Readers will never be short of a plan, whatever type of position arises. Each lesson features two inspiring examples from modern chess, annotated honestly and with a keen focus on the main instructive points. Both sides' ideas are emphasized, so we get a clear picture of the ways to disrupt typical plans as well as how to form them. Dr John Nunn is one of the best-respected figures in world chess. He was among the world's leading grandmasters for nearly twenty years, winning four gold medals in chess Olympiads and finishing sixth overall in the World Cup in 1989. He is a much-acclaimed writer, whose works have won 'Book of the Year' awards in several countries. In 2004, 2007 and 2010, Nunn was crowned World Chess Solving Champion, ahead of many former champions.